Hannah's boyfriend Jack plans a romantic date at the beach. Hannah is very excited and needs your styling skills to look like a beauty queen tonight. Join the makeover squad with Hannah's best friend Jessica, create stunning makeups, colorful hairstyles and amazing outfits. 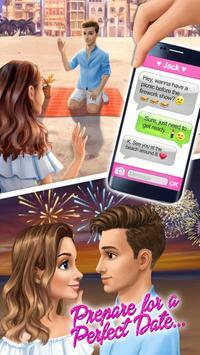 Get the hottest summer crush game for girls, enjoy new beauty makeover adventures, style, design and become a part of a high school love story. 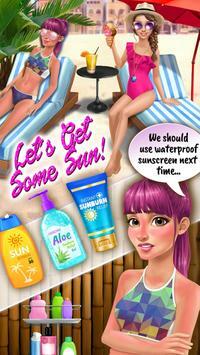 Play now and find out if Hannah and her boyfriend Jacks romantic beach date ends with a kiss! Crafted and playtested, TutoTOONS games foster peoples creativity and help them learn while playing the games they love. Fun and educational TutoTOONS games strive to bring meaningful and safe mobile experience to millions of people worldwide. Please review Hannahs High School Summer Crush Teen Date Game and submit your comments below. We will collect all comments in an effort to determine whether the Hannahs High School Summer Crush Teen Date app is reliable, perform as expected and deliver the promised features and functionalities.